Cross Townsend ballpoint pen from the 1990s. It is the 10k gold filled version, called 10 karat gold filled on the Cross website. A working refill is installed. Superior condition. 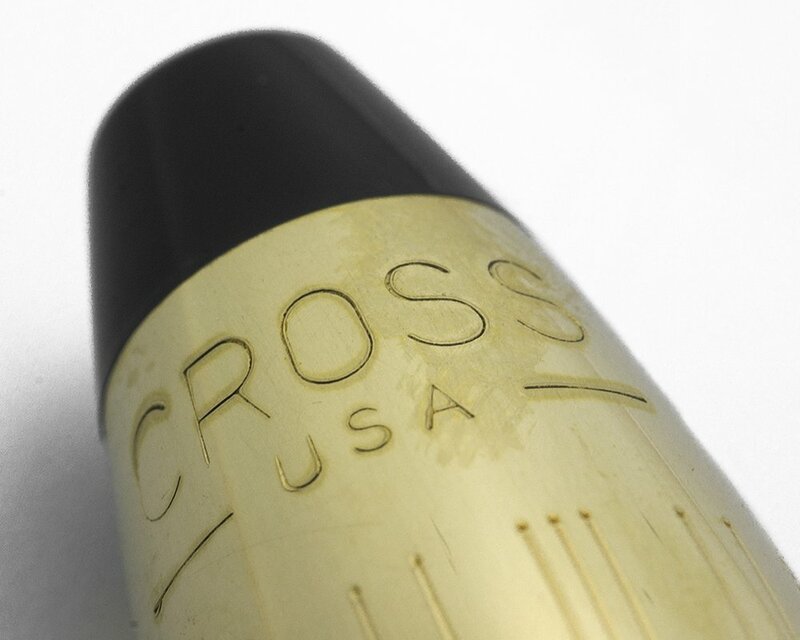 Manufacturer and Year Cross, USA -- 1994-2001, the gold filled version came out in 1993 but wasn't produced for ballpoint pens until 1994 and 2001 is approximately when Cross stopped making pens in the USA. Filling System The ballpoint pen takes Cross ballpoint pen refills. They are long and threaded at the top. A working black Cross refill is installed. Color 10k gold filled pen with a lined pattern consisting of three close lines and then two lines spaced like the three lines but as if the middle line is missing. We know it is the 10k gold filled version and not the 18k version due to the top of the cap. The 10k version has a solid black piece at the top with a gold inset when looking at the cap top down. 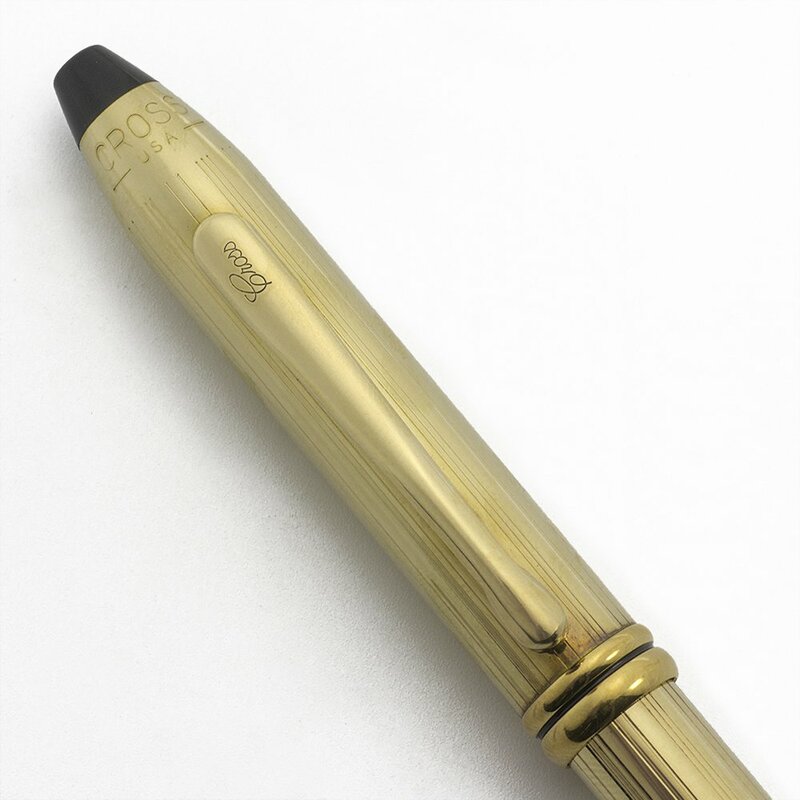 The 18k version has a narrow black band and gold filling at the very top of the cap. Condition Superior condition. It has light handwear and doesn't have a mirror finish despite no major wear. Metal pens don't look new for long no matter how carefully they are stored. The CROSS -USA- imprint is clear.